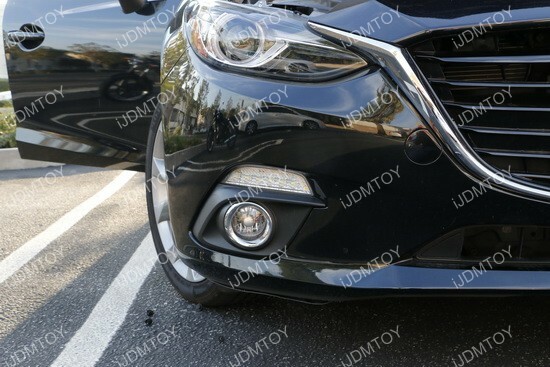 Every Mazda 3 should install a set of OEM fit LED daytime running lights because the design of the vehicle’s lower bumper is just so suitable for additional daytime running lights or turn signal lights. 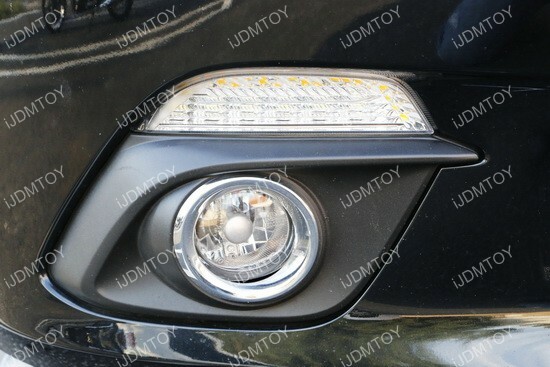 Can’t decide if you would prefer daytime running lights or turn signal lights? You can have both in the same assembly! 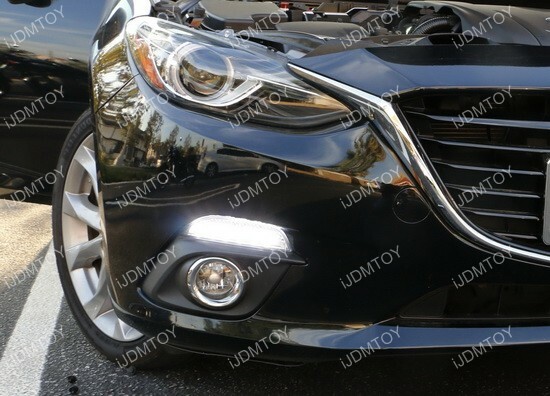 This is a set of switchback Mazda 3 OEM style LED DRL with both daytime running light and turn signal light capability so you can flawlessly switch back from daytime running lights and turn signal lights at the flick of a switch. This 2014 Mazda 3 dropped by our storefront to get a set of these switchback LED daytime running lights and the assembly fits snugly into lower bumper to nestle around the foglights. You can see the switchback function on a lot of luxury vehicles on the road so to have this type of function is pretty luxurious in itself. 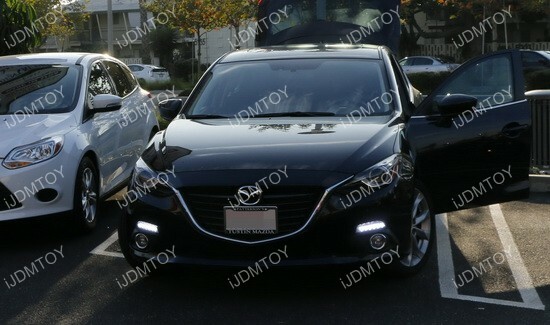 This Mazda 3 OEM Style LED DRL is definitely an upgrade to give it a classy look. 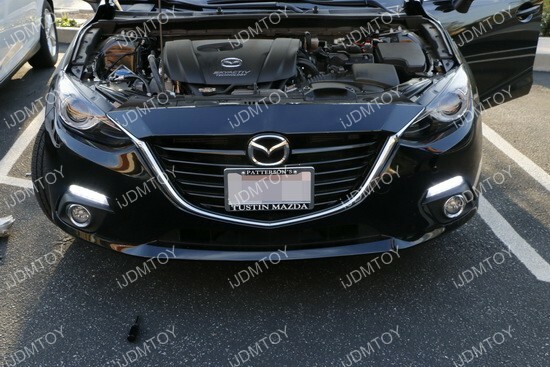 This entry was posted in - LED & HID Updates, Mazda and tagged aftermarket, Axela, daytime running lights, direct fit, DRL, exact fit, iJDMTOY, JDM, LED, mazda, mazda3, OEM fit, replacement, sedan, signal indicators, Switchback, turn signal by Shari. Bookmark the permalink.